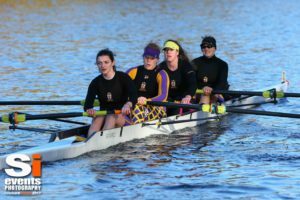 Small Boats Head 2017 Roundup. On a busy day of brilliant sunshine but low temperatures, the York Small Boats Head 2017 was a roaring success. 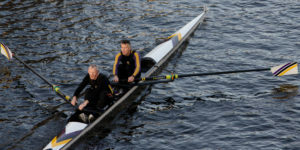 With 34 clubs and 347 crews racing over 3 divisions, the racing came thick and fast, but due to the hard work of the YCRC army of volunteers, the day went off without a hitch – even an impromptu power cut in the boathouse couldn’t slow us down. 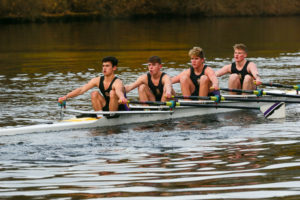 Highlights of the staggering 21 home wins for YCRC include the fastest crew on the river, our J184x (McGahon) saw off the challenge of half of Dad’s Army, competing in Band 1 of the open coxless quads, by 0.2s to claim the headship. The rest of Dad’s Army recorded the fastest time of a coxed 4 for the day, in the MasC4+ category, so can legitimately claim to still be showing the young ‘uns how to sweep. Our juniors had another brilliant day, with wins in: J182x (Hancock) & WJ18 2x (Edmunds); WJ18 1x (Edmunds); WJ184x+ (Widdowson); J172x (Aschmann); WJ154x+ (Parsons); WJ15 2x (Parsons); J14 4x+ B2 (Macarthur) & J14 2x (Hoque). YCRC wins were similarly dense in the Masters categories with wins in: W MasC/D 4+ (Porte), Mas B/C1x (Fricker), Mas E2x (Lyon), and WMasC/D/F1x (Homa). 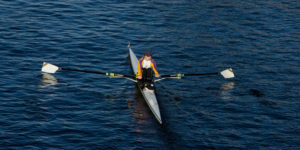 The Mas E2- (Rigby) emerged victorious from the E2- showdown challenge issued in Bled, whilst the W Mas D/E 2x (Sharp), two of our ‘Leisure and Progression’ rowers, proved once more that their race pace is anything but leisurely to bag their win. And in the open events, YCRC nabbed a few more wins to round out the day: Band 1 1x (Bollans), WB1 4+ (Nicholson), and 4x+ (Coulson). Congratulations to all YCRC rowers for their efforts, and all our visitors who we hope had an excellent day on a very well-behaved Ouse. As ever, Anne Homa worked tirelessly to make the SBH happen, leading a massive team of helpers both on and off the river, thankyou to all who pitched in to make it run so smoothly. Special thanks to Philippa Press and her catering team, as well as all who donated baked goods for our legendary cake table – I’m told the team only lost 20 sausages during the powercut! See you at SBH 2018! Photos: Nick Hazel and Richard Sharpe, SI Events photography.